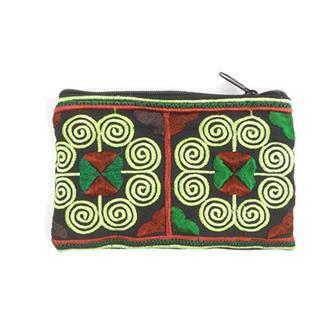 All manner of fabulous Fair Trade, ethnic purses, clutch bags and wallets from around the world. 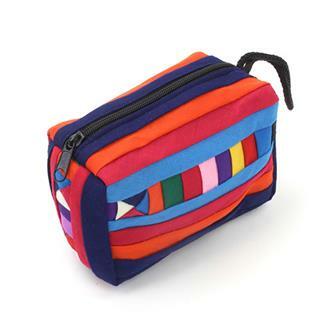 Including a large range of funky felt, practical pencil cases and carefully crafted crochet creations. You're sure to find something unusual and interesting to store your little treasures in here. 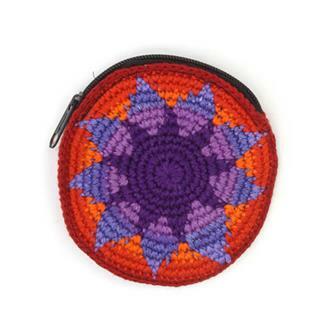 These beautiful crochet coin purses are all hand made in Guatemala and come in a variety of bright, bold colours. Each purse has a zip. 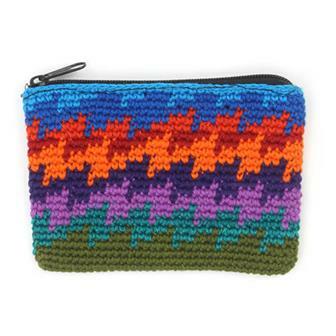 Wonderfully bright and cheery tapestry crochet purse with zip. 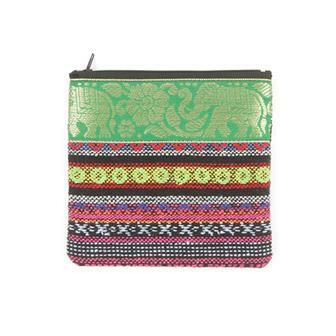 This item is just the right size for bank cards and comes in a wide range of different designs and colours. 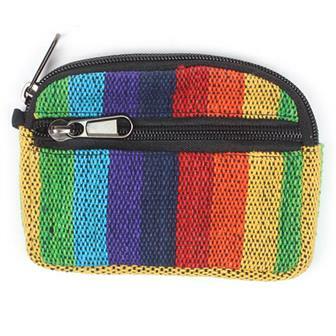 Lovely little cotton rainbow purses with zipped pockets, very useful and the perfect size for bank cards and small change. Comes in a variety of rainbow designs. Handmade in Northern Thailand using hill tribe material, these beautiful little spirally purses come in a variety of vibrant colours. 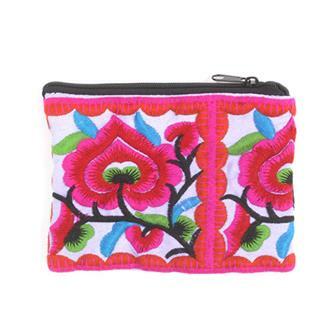 Featuring intricate and colourful floral embroidery, these lovely zip purses are handmade in Northern Thailand. 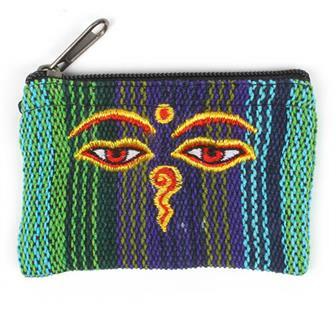 Pretty and sturdy cotton purses in our popular gheri material, embroidered with the iconic wisdom eyes (also known as The Buddha Eyes) commonly seen on stupas in Nepal. 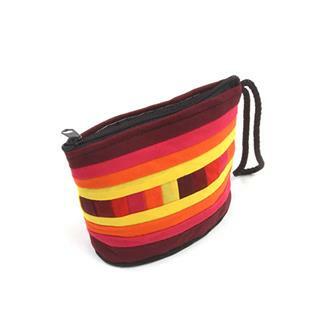 A pretty stripy Nepalese purse which is decorated with small mirrors and is available in many designs. A staff favourite as a wonderful way to help protect your cherished little goodies such as MP3 players or slim cameras. 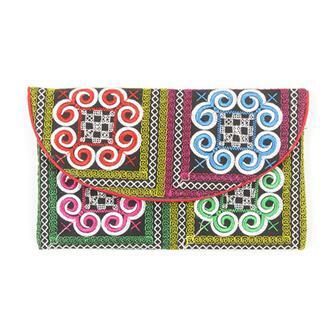 Made from colourful, tough gheri material; these large size purses have twin zipped pockets. 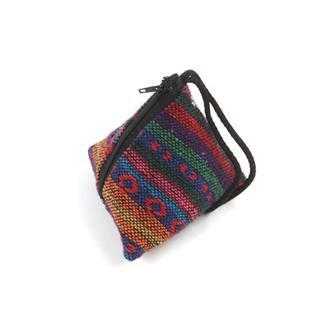 These lovely little coin purses are made with mixed colours of our popular patterned Thai Weave fabric. 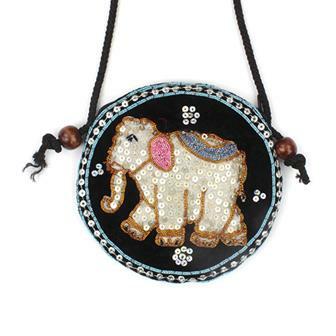 Hand made in Thailand, each purse is decorated with a length of gold thread trim featuring elephants. Beautiful Indian purses with gold embroidery and mirror details. Available in various colours. 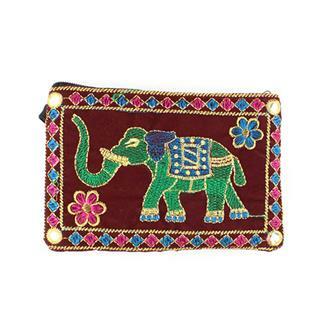 These beautiful purse are handmade in India and feature a fantastic level of hand stitched detail. Featuring a bobble wriststrap and mirror details, these are wonderfully bright and colourful accessories. 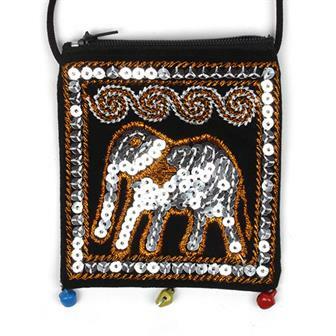 These fantastic little purses have been carefully decorated with a shiny sequined elephant design and feature a zippable pocket and a long string. Perfect for your pennies and little treasures! Pretty lined embroidered purse with zip. Available in a large range of colours, please specify at the checkout and we will try our best to get the colour you want. 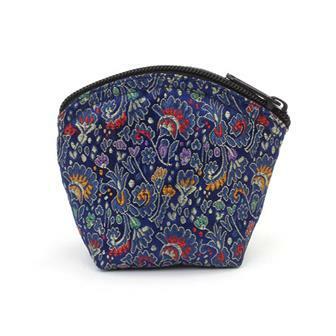 These eyecatchingly patterned and interestingly shaped cotton purses come from Thailand and have loads of space for coins or any other valuables. This terrific tetrahedron comes in a wide range of funky colours and fabric designs will vary. 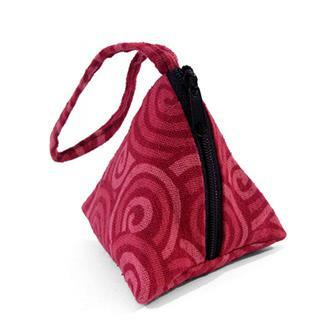 These charming little pyramid purses are made in our striking Thai cotton weave fabric. Great for storing all your little goodies! 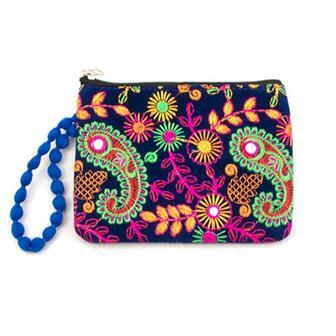 Bright and cheery purse with poppers adorned in embroidery. 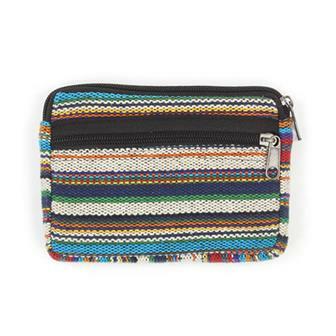 Made from the colourful and distinctive Lisu hill tribe material in northern Thailand, these useful little carry pouches are perfect for carrying around everyday essentials or as a colourful alternative to a camera pouch. 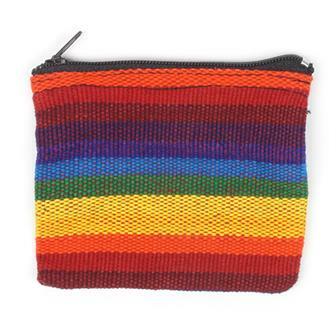 These lovely little cotton purses are made with the traditional fabric of the Lisu hill tribe of Northern Thailand. Attractively decorated with sequins and colourful stitching, these round, zipped purses are perfect for keeping coins or little treasures in! Each purse also has a long strap for wearing over the shoulder.